from Hz Journal, no. 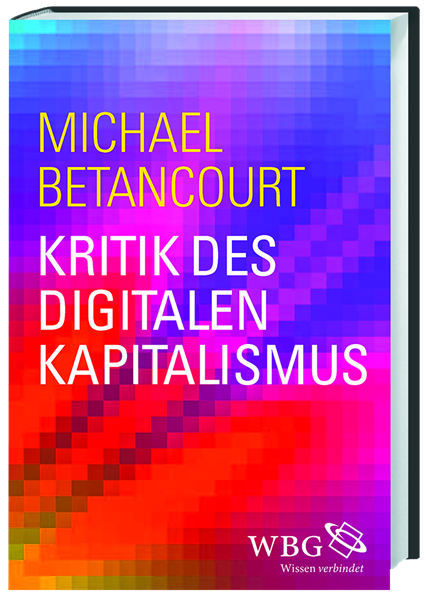 19, July 2014: "Critical Glitches and Glitch Art"
If you are looking for more on agnotology, digital capitalism or automated/immaterial labor, look at my published articles, posted in .pdf and with links to the magazines, under "articles" on MichaelBetancourt.com. 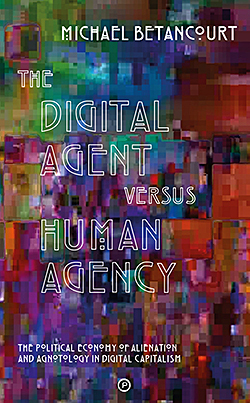 Punctum books will be publishing my new book, The Digital Agent versus Human Agency this summer! The robots will take your job. This book is about what happens afterwards. The challenge automation and AI present is ideological, a matter of deciding what kind of world comes after capitalism replaced human labor with machines. 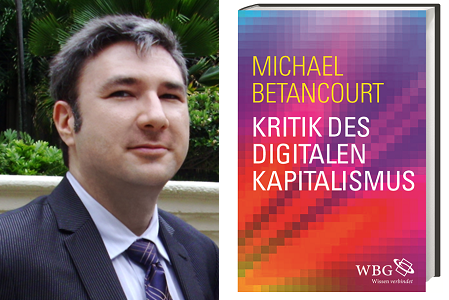 This analysis offers more than a diagnostic of the contemporary dominance of computer technology, suggesting models that can challenge it and reclaim the social realm from being just another commercialized resource. The Digital Agent versus Human Agency is a critique of this fantasy separating who works (labor) and who reaps the benefits of that work (capitalists) to show that value always depends on human action, a foundation that automation does not change. The collapse of value for Bitcoin and all other cryptocurrencies is likely to be inevitable. 1. Haben Kryptowährungen wie Bitcoin nach Ihrer Meinung auf längere Sicht eine Zukunft? Die sich in Bitcoin und anderen Kryptowährungen darstellende Technologie wird vielleicht – neben ihrer Funktion, eine virtuelle Ware zu sein – in der internationalen Bankindustrie zur Anwendung kommen. Es gibt einige Experimente in diese Richtung, aber für die allgemeine Öffentlichkeit erwarte ich, dass es zu einem Zusammenbruch kommen wird, sobald alle Bitcoins „geschürft“ sind. Das Verständnis dieser Entwicklung hängt von mehreren Eigenschaften der Technologie selbst ab: dass das „Schürfen“ von Bitcoins ein Nebenprodukt der Berechnungen ist, die für einzelne Transaktionen erforderlich sind, ist weithin bekannt. . . .
“Materiality” for the digital describes an ambivalent relationship between two distinct, but overlapping, understandings of “materialism.” The first is familiar from art history and criticism: the literal substance of the digital—the electronic signals that encode binary data. This digital code is what enables computer operations and is the substance of all electronic files. Artistic and aesthetic engagements with the materiality of the digital are addressed to the technological and semiotic functioning of encoded files and the use of computer languages. In manipulating these features of digital technology, artists (and critics) are addressing the materiality of that technology and its active role evident in even the most banal or prosaic uses of computer and digital technologies. This first meaning for “materiality” has an extensive use in the discussion and analysis of technological and computer art, and is apparent from the recurring emphasis on computer programming in the evaluation of digital art. The materialist engagement with the technology itself is a precursor to the differentiation between art addressed to the machine, and art that addresses what the machine can make. This understanding of digital materiality transforms computer software and hardware (“computer art”) into an analogue for the same formal relations from other artistic media such as “painting”—it recreates a conception where the manipulation of software/paint on the hardware/canvas brings the realm of digital art into a coherent parallel to older, established media, allowing the transfer of the art historical conceptions of materiality to apply to the discussion and analysis of the digital.